PHP has risen to become one of the most popular programming languages in the world, making high-quality, sustainable applications and frameworks created in PHP more sought after than ever. Using real-world case studies from well-known companies, this valuable book presents the planning, execution, and automation of tests for the different layers and tiers of a web software architecture and explains how these companies measure and test the quality of their software. "I am sure this book will serve you well in taking the quality of your projects to the next level and will help you instill an even stronger sense of pride in the software you are creating within your teams and your management." 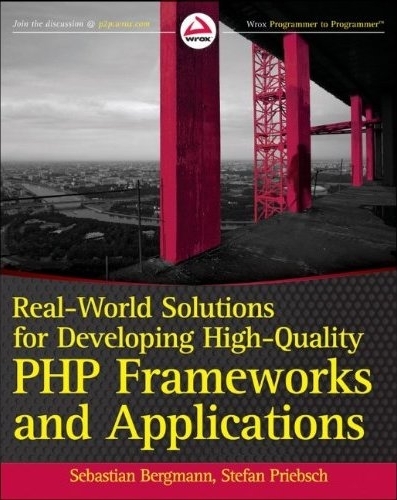 "Finally a book written for serious PHP application developers. This book really gets it." "Finally! This is the book I wish I had years ago. [...] From proper architecture, testing, planning, and even talk about the risks of Technical Debt, this book had it all. I think it's a great addition to anyone's bookshelf." "I'd highly recommend this book to anyone with an interest in testing or a desire to improve the quality of their code. [...] While the projects covered tend to be on the larger side, virtually everything in this book is applicable to even the smallest projects."